Wild garlic gnocchi, cavolo nero & ricotta – Dig Delve – An online magazine about gardens, landscape, growing & making. At this time of year there are two major challenges in the kitchen garden; how to use up the remaining winter vegetables in order to clear the beds for the sowing of new crops, and how to bridge the hungry gap, as we reach the end of our stores. Most of the remaining vegetables have been sitting in the ground or in storage for the best part of five months and as the days start to lengthen and warm, we crave the flavours of spring. The trick to bridging the gap is to combine these winter vegetables with fresher, spring ingredients; roast beetroot with fresh horseradish and watercress, or a plate of sautéed carrots with blood oranges and the last cobnuts. This recipe is an adaptation of one I usually make with purple sprouting broccoli. However, ours has been a disappointment this year as we sowed a couple of weeks too late and the plants failed to gain enough stature before the winter. The cavolo nero would also have done better with a fortnight more of summer. Although we’ve harvested a few good helpings of leaves we have learned not to uproot it too early, since we have found it has a second season and has been shooting furiously for the past few weeks as it readies itself to flower. The young cavolo shoots are best before all the energy goes into the flower so pick when you see the first buds to retain the velvety texture of the young growth. 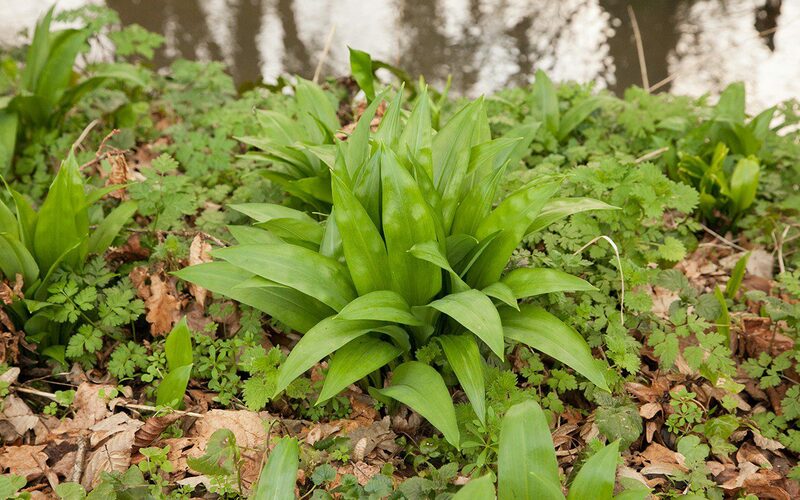 At the end of winter it has has a mineral richness, which is a good partner to the wild garlic that is now showing itself down by the stream. 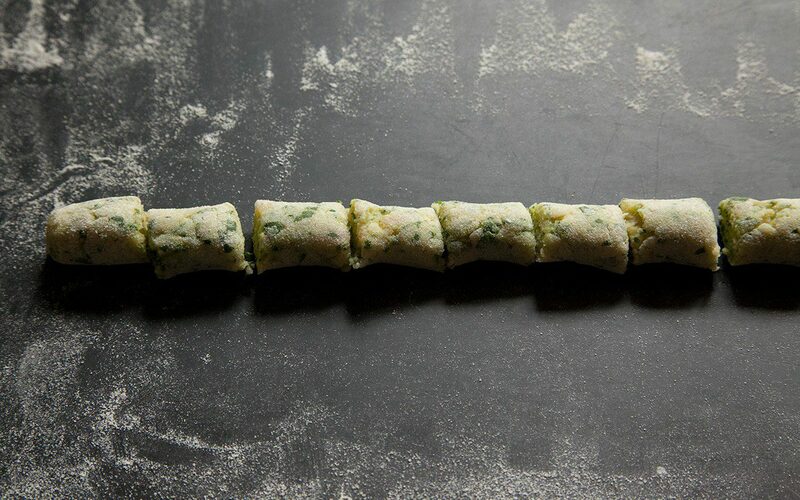 Gnocchi are quick and easy to make yourself and a great way to use up the last of the potatoes. It is best to use a floury variety or the gnocchi will be gluey, but I made do with ‘Roseval’, the last of our stored potatoes, which is somewhat waxy. As long as you rice the potatoes while piping hot they still lose a lot of their moisture. Served with a sharply dressed salad of bitter leaves this makes a perfect spring lunch. To make the gnocchi cook the potatoes in their skins in a large pan of boiling water. Drain and peel them while still hot. Protect your hand with a tea towel or oven glove. Immediately put them through a potato ricer or mouli into a large mixing bowl. 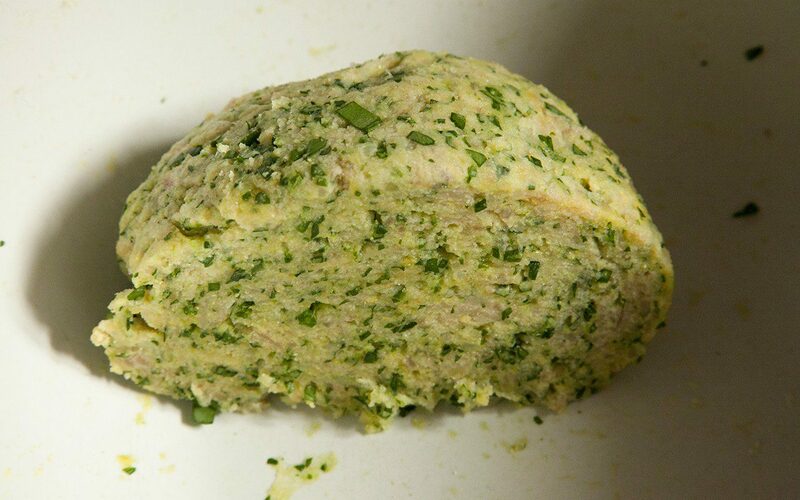 Add the egg yolk, flour, semolina, wild garlic and salt and fold through with a metal spoon until well combined. Using very light movements use your hands to quickly bring the dough together into a ball. 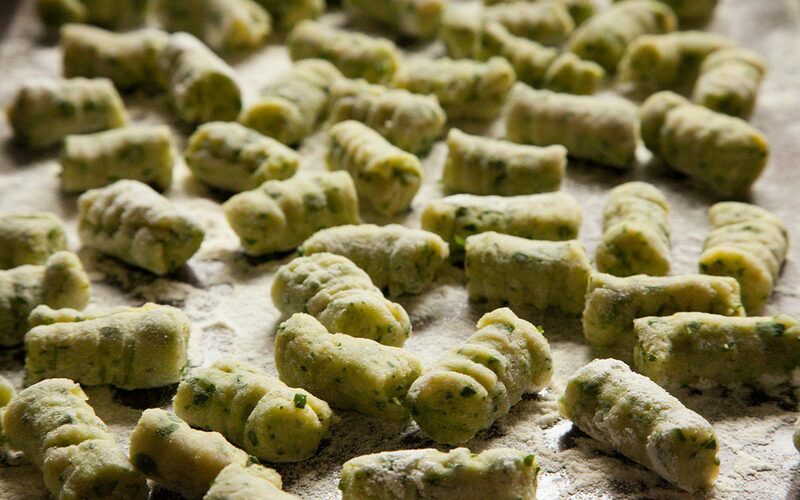 Do not knead it or the gnocchi will be heavy. Divide the dough into four. On a floured worktop roll the first quarter into a sausage a little thicker than your index finger, then cut into 2cm pieces with a sharp knife. Take each piece and, pushing away from you, roll them on the back of a fork to create ridges which will hold some of the sauce. Place them on a floured tray. Repeat with all of the dough. Bring two large pans of generously salted water to the boil. In the first one cook the gnocchi in batches. They are done when they float to the surface. Remove with a slotted spoon and drain them on a clean tea towel while you cook the rest. As you cook the last batch of gnocchi put the cavolo nero shoots in the other pan of boiling water for two minutes. They should retain some bite. Drain, refresh in cold water and drain again. 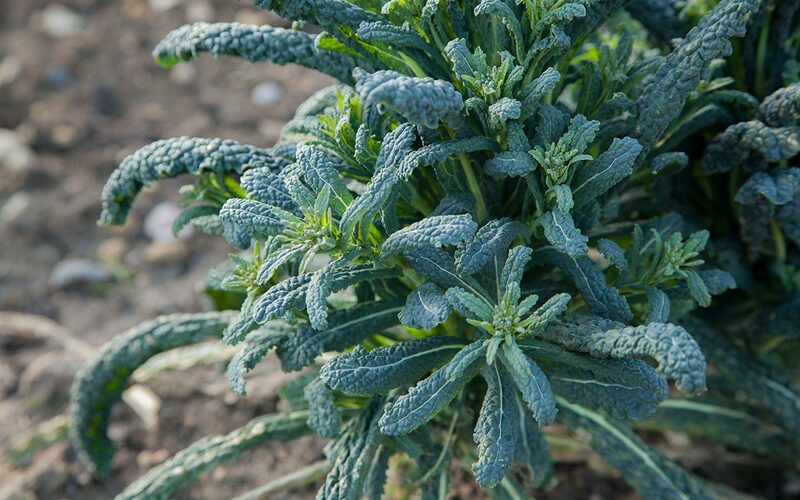 If using purple sprouting broccoli remove the small florets from the larger stems and cut any larger florets in half or quarters. 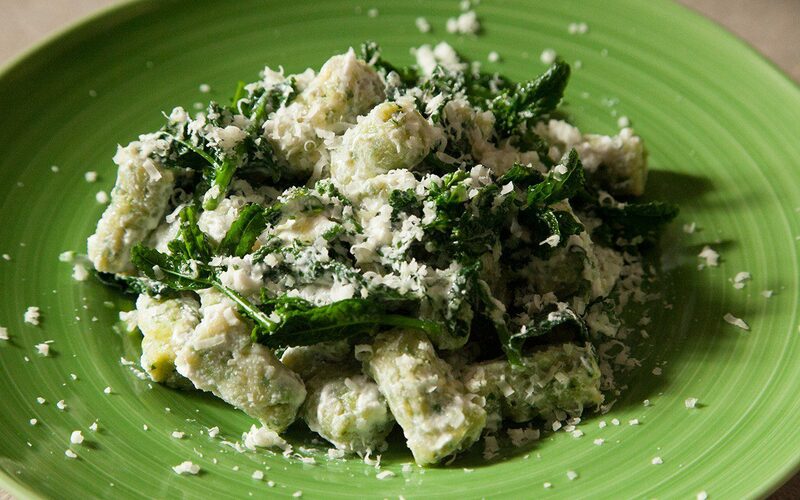 Put the gnocchi and cavolo nero shoots into a bowl. Add the ricotta in spoonfuls. Season with salt, ground pepper and a little olive oil. Stir gently to coat adding a little reserved cooking water to loosen if necessary. Divide the gnocchi between hot plates. Drizzle with olive oil and finish with grated pecorino.